ANKARA, 10 May 2010: Pakistan and Turkey can learn from each other in the fields of technical education and vocational training. Service sector could be an area of joint collaboration between Pakistan and Turkey. This and many other opportunities were explored here today during meetings of a visiting Pakistani delegation of technical education and vocational training (TVET) to the Ministry of National Education. 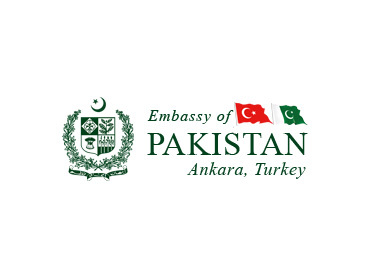 The 3-member Pakistani delegation led by the Mr. Aziz Ahmad Bilour, Executive Director, National Vocational & Technical Education Commission, is on 5-day tour of Turkey to meet experts in the TVET sector. Mr. Huseyin ACIR, General Director, General Directorate of Technical and Vocational Education, Ministry of National Education, Republic of Turkey, briefed the visiting delegation about the TVET in Turkey. He said his directorate has just completed a reform programme of the technical education sector worth Euro 58.2 million. About 58 fields of technical education are currently offered by the Directorate in the technical education sector while protocols with 86 organizations are in place that helps the students in obtaining on the job training. There are over 1.5 million students in the technical schools in Turkey. Mr. ACIR also shared the findings of recent Household & Labor Force Survey conducted in April 2010. He said 47.5% is the rate of participation in the national economy which is dominated by the service sector, employing 50.5% of the labour force. The delegation also visited the offices of the General Director of Girls’s Technical Training and met the General Director Ms Emine KIRAÇ. She briefed the delegation about the female technical education and informed that about 400,000 girl students are studying in about 1600 schools. In order to keep the Turkish culture alive, there are 12 special technical education schools that are specialized in the trades such as handicrafts. Murat Bey BALTA of General Directorate of Commerce & Tourism Education also shared his thoughts. He said service sector has great potential for accommodating maximum number of labour force and the Turkish Government is devising strategies to produce highly skilled labour force such as tourist guides, hotel managers, restaurant managers, logistics experts, etc. He said in 2009, despite adverse economic conditions, Turkey attracted over 24 million tourists and approximately $ 21 billion was added to the economy. Mr. Bilour informed the hosts that currently the TVET system in Pakistan is revamped. The focus of technical education is being changed from supply oriented to demand driven. NAVTEC has prepared National Skills Strategy 2009-13 that envision a flexible and competency based training where industry has a role in design and delivery. Industry Advisory Groups for services, construction and dairy & livestock have been constituted, he added. Pakistan has over 100 million persons below the age of 25 years and through enhancing their skills, can strengthen the economy on a sustained basis. Pakistan and Turkey will soon sign an MoU to formalize cooperation in the field of technical education and vocational training.